It’s no surprise that the city of Encinitas was recently named as one of the best surf towns in the world! 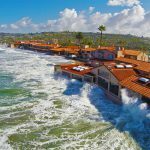 Encinitas, California takes the beach seriously; and with six miles of Pacific Ocean coastline to its name, the small community is a beautiful reminder of the historic Highway 101 beach culture that has thrived there since the mid-1900s. 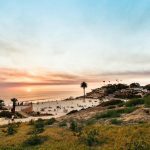 Here are ten fun activities to do in Encinitas the next time you visit! 1. Stroll through the downtown shopping district. The quaint downtown Encinitas shopping district is more than 100 years old. Today, the historic corridor along Highway 101 is home to little sidewalk cafés, cute boutiques and shops, and great restaurants. Though it was once a main thoroughfare from San Diego to Los Angeles, today it boasts a bit slower pace of life. Keep an eye out for the artwork! Visitors will see a variety of wall murals, eclectic street art, and colorful banners on the streetlight poles that were donated by the thriving artists colony there. Other amenities of the downtown Encinitas shopping district include wide sidewalks, benches, and a huge Encinitas sign stretching from one side of the highway to the other (hint: it makes for a great photo op!). Old Encinitas is also incredibly pedestrian-friendly, and it’s only two blocks from the ocean and not too far from the Encinitas Ranch Golf Course. On your excursion downtown, make it a point to stroll through the outdoor Seaside Bazaar, which takes place every Saturday and Sunday from 9am to 5pm. Additionally, between F and I streets on S. Coast Highway 101, you’ll find a local favorite called the Lumberyard Shopping Center. It’s home to more delightful shops and lots of wonderful places to eat. Recommendations include 3rd Corner, which is a wine shop and bistro serving lunch and dinner; St. Tropez Bakery & Bistro, serving authentic French cuisine, baked goods and delicious desserts; and the Lumberyard Tavern & Grill, which is a great place to stop for lunch. 2. Take in a show at the La Paloma Theater. Opened in 1928, the La Paloma was one of the first theaters to show “Talkies” and has hosted many a Hollywood celebrity (Mary Pickford attended the opening gala) in its time, as well as performers from Jerry Garcia, Eddie Vedder and Timothy Leary to Jay Leno. The venue has also premiered a number of surf films, and today, its claim to fame is a nightly midnight showing of the Rocky Horror Picture Show. 3. Have a bonfire Moonlight Beach. 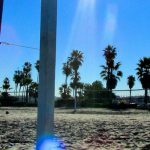 Moonlight Beach starts where Encinitas Boulevard turns into B Street, and is one of the most popular beaches in Encinitas with both locals and tourists. 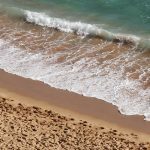 It’s sandy and wide, great for kids and adults, and perfect for picnics, playing volleyballs, making sand castles, and summer evening bonfires. Moonlight Beach is an excellent swimming, snorkeling, and surfing beach, band it’s popular for surf fishing. The area boasts tennis courts and kids’ playgrounds, a space to rent beach gear, and a nice snack bar. The beach used to be very popular with locals for midnight picnics in the 1900s, which is how it became known as Moonlight Beach. Even today, you can still see people lighting bonfires and having late parties in the moonlight! 4. Visit the San Diego Botanic Garden. 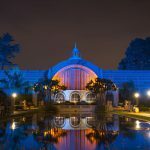 Packed with four miles of trails, the San Diego Botanic Garden off of Quail Gardens Drive is home to an incredible diversity of plant life and native flora and fauna – you’ll see everything from arid deserts to a tropical jungle and bamboo groves. The plants thrive, and you will enjoy different vistas, numerous flowering trees, majestic palms, and the largest bamboo collection in the country. The San Diego Botanic Garden is one of the best things to do in Encinitas, California! 5. Swim or surf at Swami’s Beach. Swami’s Surf Beach is one of the most well known local surfing haunts in the area. During the winter when the swells are particularly good, surfers often put on quite a show at Swami’s – the best spot to watch them is from the park on the cliff above the beach. This lovely park is the main entrance point for Swami’s Beach and has many benches in the shade, several picnic tables, and a well-tended shady lawn. From the park, a long and steep wooden staircase leads down to the beach, which has a lifeguard station. If the tide isn’t too high, you’ll be able to walk along the beach all the way to San Elijo State Beach. 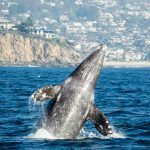 If you are wondering what to do in Encinitas with kids, this is a great place to visit! 6. Visit the Self-Realization Fellowship Gardens. You can also take a walk to the SRF Temple in Encinitas, located just a few short blocks away from the Hermitage & Retreat Center. The temple is part of Self-Realization Fellowship, a non-profit spiritual organization founded in 1920 by Paramahansa Yogananda (author of Autobiography of a Yogi) to disseminate his teachings of Kriya Yoga, an ancient Indian spiritual science. 7. Check out the Leucadia Farmers Market. The Leucadia Farmers Market is a great place to spend the day, and they are open every Sunday from 10am to 2pm. There are over 75 vendors at this certified market, which offers everything from fresh flowers and plants to meats and baked goods. Visitors will find specialty foods like beef, seafood, marinades, pastas, and sauces; to name a few. The Encinitas Farmers Market is held at 185 Union St, Encinitas, CA 92024. Reviewed as the “ultimate California experience,” the Leucadia Surf School does just what you’d imagine! Whether you’re looking for private lessons or group lessons, there’s definitely something for everyone. Open seven days a week, the school provides visitors with a soft board and a wetsuit, and offers basic instructions before students ride the waves. An experienced instructor is with you and the group at all times. Already know how to surf? No problem, because Leucadia also does just rentals – they’ll give you some tips on where to catch the best waves and surf right alongside you. 9. Tour the Encinitas Historical Society. Visitors to the Encinitas Historical Society are in for a treat, as the organization is located in an 1883-era one-room schoolhouse built for the eight children who lived in the town at that time. Walk across the original wood floors to discover the history of this unique city through photographs, exhibits, research papers, and docents eager to share their story. We can guarantee you’ll fall in love with this quaint beachside community during one of the many tours led by the Encinitas Historical Society! These tours showcase landmarks and festivals, and give visitors an opportunity to get to know the friendly locals. 10. Have dinner and drinks by the beach. Encinitas is home to several great beaches, restaurants, bars, and pubs. A few local favorites include the Bier Garden of Encinitas, the Encinitas Ale House, and Union Kitchen + Tap. For more ideas, see our list of the top 10 Encinitas bars. The Bier Garden is a great place to hang out with friends after work or after a day on the beach. You can perch on a vivid green stool in front of 32 tap handles offering some of the best craft beer from Southern California. 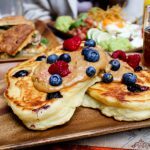 The menu is designed to work well with beer, and whether you go for a full dinner or choose a bunch of small plates (such as skewers with chicken thighs marinated in peanut sauce, or short rib corn nachos with mango salsa and tomato soaked in Bier cheese sauce). 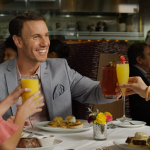 You also might want to sample something from their unique Bloody Mary menu – they come with beer chasers! Only 25 miles north of San Diego, Encinitas has a distinct, quirky personality, attracting not only surfers that flock there for the city’s six miles of Pacific coast, but also visitors exploring the city’s great attractions, restaurants, live music, and shops.